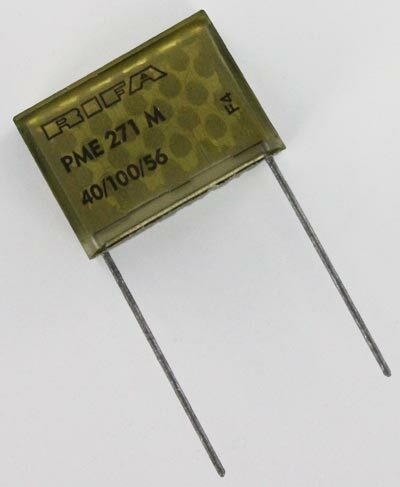 The PME271M capacitors are intended for use as interference suppressors in X2 (across-the-line) applications. They are made of multi-layer metallized paper and are encapsulated and impregnated in self-extinguishing material which meets the requirements of UL94V-0. For reference only, we are providing a datasheet for this part. Please note that the information provided in it is for the 275 VAC version of this series. West Florida Components assumes no liability for this information.